My good friends at Dizzy Pig Barbeque Company sent me their new line of rubs from their Departure Series. As a craft beer lover, I was interested in cooking with their IPA Hop Infused Seasoning Blend first. I wanted to cook something simple, allowing the focus to be on the rub not the dish. Watching Susan and Teresa cook salmon at the EGGtoberfest a couple of weeks ago I was inspired to cook with that same protein and the IPA blend. Now sit back, grab an ice cold Lagunitas Hop Stoopid, and enjoy this review for Dizzy Pig Departure Series IPA. The ingredients for this dish couldn’t be any easier: salmon filet, IPA rub, honey, and lime. I took the skin off the salmon and covered the filet with the IPA blend. For the honey glaze I mixed honey, lime, and a dash of chili pepper… easy! I preheated the Big Green Egg to 450° (measured at the dome) using a Woo II. Once the egg was ready I placed the salmon on and let it cook for 5 minutes. I flipped the salmon and let it cook until the internal temp measured 130° using a Thermapen. I pulled the salmon off and let it rest a few minutes before serving. Look at that crust from the IPA seasoning! I served the salmon with a drizzle of the Honey Lime Glaze and a side of Roasted Fall Vegetables. The rub was a perfect compliment to the salmon filet and it caramelized to form that nice crust. The earthy qualities of the hops gave the fish a hint of citrus and pine. This was an amazingly easy dinner to make and packed with so much distinctive flavor. That is what I love about cooking with Dizzy Pig products… they give you the ability to make a great meal every time! Order a bottle of this signature rub now before they are all gone!!! 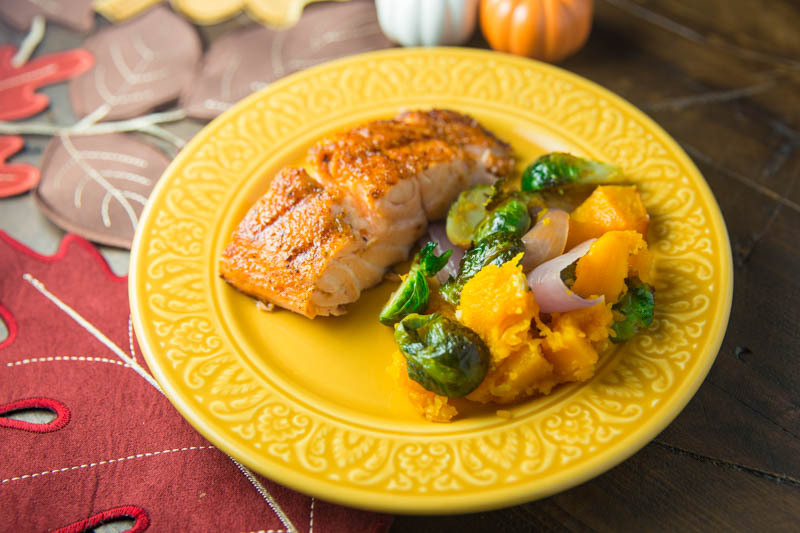 This salmon recipe uses Dizzy Pig IP seasoning to form that perfect crust. This dish is easy to make and packed with distinctive flavors!